When Can You Start Receiving Social Security Benefits? You can start receiving your social security as early as age 62 and as late as age 70. But you are entitled to full benefits when you reach normal retirement age or "full retirement age" according to the Social Security Administration. For anyone born after 1937, full retirement age is between 65 and 67 years old, depending on when you were born. If you were born between 1937 and 1942, full retirement age is 65. It may be 65 and 2 months, 4 months, 6 months, etc., according to your exact birth year. If you were born between 1942 and 1959, normal retirement age is 66. Again, the exact month will depend on your birth year (if your birthday is January 1, you refer to the previous birth year). For those born 1960 or later, full retirement age is 67 years old. If you start receiving Social Security at age 62, your monthly benefits will be reduced accordingly – by as much as 30%. They increase with each year as you approach full retirement age, at which point you will receive full benefits. So, for example, if your full retirement age is 67, at age 62 you would receive a 30% reduction in benefits. At age 63, you'd get a little more: a 25% reduction in benefits. You'll get a 20% reduction at age 64, and so on. 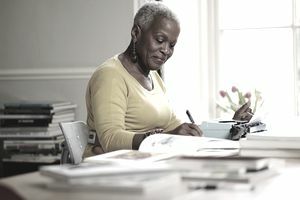 If you delay receiving Social Security benefits until after full retirement age, you will get benefits credits that increase the percentage of the amount you receive once you do start. But that increase stops once you've reached age 70. So, for example, if your full retirement age is 67, you would receive an 8% increase each year that you postpone receiving your benefits, until you reach age 70. However, if you do delay receiving your benefits, you must still apply for Medicare before age 65. The Social Security Administration recommends starting the process three months before your 65th birthday. If you don't do this, you can still apply after age 65. But there are specific time periods for doing so. And for each year that you do not, your monthly Medicare Part B premiums may increase by 10%. How Does Work Affect Social Security Benefits? You can receive Social Security benefits and work at the same time. In fact, you can collect at age 62, whether you’re working or not. However, if you collect benefits before your full retirement age, your benefits will be temporarily reduced by $1 for every $2 you earn above $15,720 in 2015. If you work during the year you reach full retirement age, $1 in benefits will be deducted for every $3 you earn above a higher limit ($41,880 in 2015), but only counting earnings before the month you reach your full retirement age. (Note: The earnings limits amounts for 2016 had not been published by the Social Security Administration at the time of this update but will be located here when available.) Once you reach full retirement age, you can get your benefits with no limit on your earnings. For whatever it's worth, the Social Security Administration does not have a recommended age to start receiving benefits. The decision is entirely up to you. You'll get a little bit less if you start early, or a bigger benefit if you wait until 70. You can calculate the difference on the SSA site. DISCLAIMER: The private websites, and the information linked to both on and from this site, is opinion and information. While I have made every effort to link accurate and complete information, I cannot guarantee it is correct. Please seek legal assistance, or assistance from State, Federal, or International governmental resources to make certain your legal interpretation and decisions are correct. This information is not legal advice and is for guidance only.